Editor’s note: Painting is the first project many of us tackle in a new home – sometimes before we even unpack the first box. And if we can’t paint, or prefer not to, we express ourselves with color through the textiles, furniture, and accessories that fill our homes. Introducing our favorite colors to our home decor helps us make an unfamiliar place begin to feel like it’s truly ours, and a new color scheme can refresh a home we’ve lived in all our lives. Each day this week we’ll share expert tips, designers’ advice, and inspirational images to help you make the most of color in your home. Folks who are in the spotlight often love to surround themselves with dramatic colors and furnishings. See the shades three celebs chose for their homes, and learn how you can get the look, too. 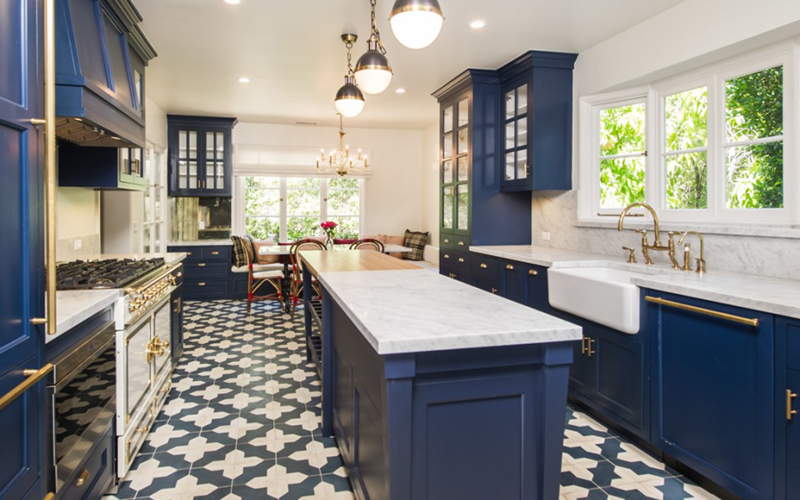 The “New Girl” actress’ bold blue kitchen pairs crisp navy cabinets with brass accents and a nautical-inspired light fixture. Coordinating tile and deck-like chairs complete the “galley” of the Hollywood Hills home. Bring the summer heat indoors like “The Real Housewives of New York” star Alex McCord did in her red-walled seating area. 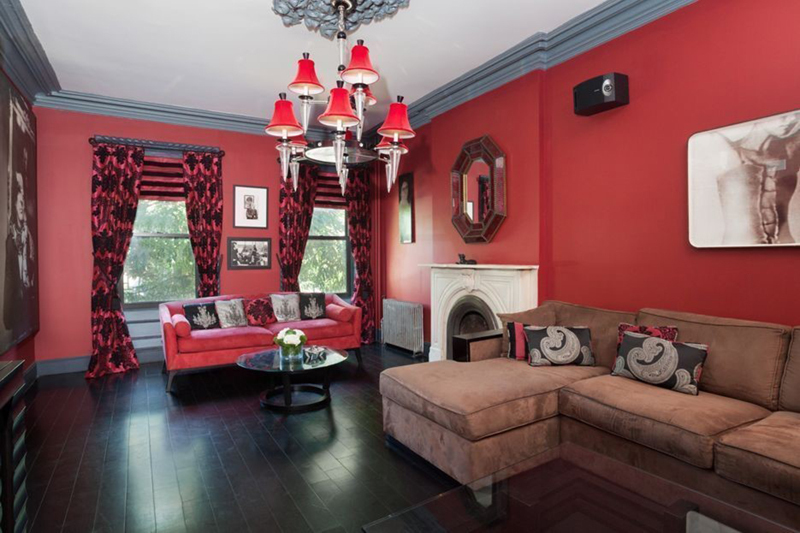 Patterned red curtains complete the passionate look to create a perfect entertaining spot in Brooklyn. Clothing designer Max Azria rarely shies away from making a dramatic statement, and this elegant gray and white parlor with coral accents in his Los Angeles estate is no exception. Plenty of glass and sparkling silver accessories brighten the room, while a striking graphic rug grounds the space. See inside more celebrity homes.